Han (Alden Ehrenreich) and Qi’ra (Emilia Clarke) are a young couple with big ambitions. They live a life of poverty on their home planet of Corellia, but they hope to buy a ship, escape Corellia, and settle down on a planet far outside the reaches of the Empire. When their escape plan backfires, Han and Qi’ra are split up, but he vows to become the best pilot in the galaxy, get a ship, then find her so they can start their life together. Han’s new plan proves to be easier said than done. He finally becomes a great pilot, but has no ship. 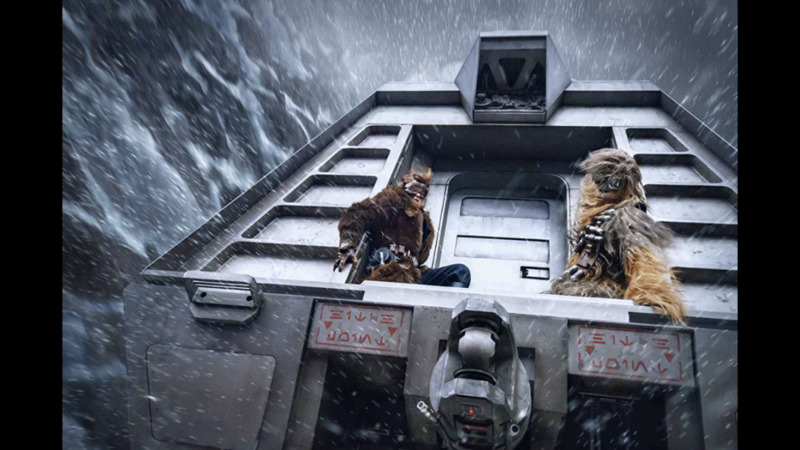 That is when he meets an outlaw named Beckett (Woody Harrelson) and a Wookiee named Chewbacca (Joonas Suatomo). 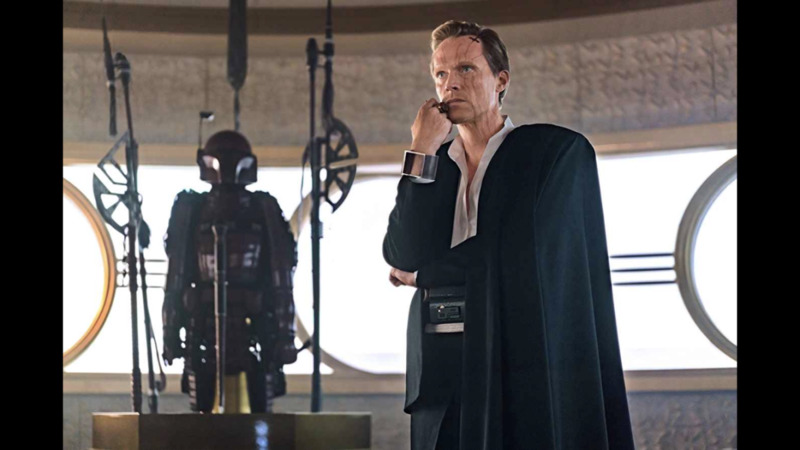 Together the group plans on doing a job for a dangerous galactic criminal named Dryden Vos (Paul Bettany). If they succeed, Vos will pay them a small fortune, but failure will result in a large bounty on their heads that could cost them their lives. No matter who was chosen for this role, there were incredibly big shoes to fill. It is not that Harrison Ford brought a lot to this role, dramatically, but Han Solo is one of the most iconic characters in cinematic history and audiences will always associate the role with Harrison Ford. Stepping into this role would be a tough thing for any actor. The new actor cannot be too similar to Harrison Ford or audiences will complain that it feels like the actor is doing nothing more than an impression. However the actor cannot be too different from Harrison Ford or audiences will not accept them in this iconic role. Alden Ehrenreich did a good job of balancing these two issues. 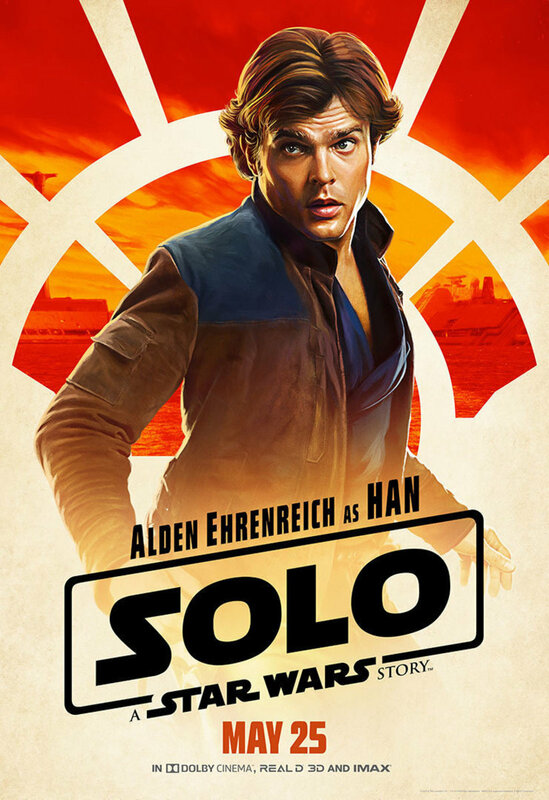 Alden Ehrenreich is not doing an impression of Harrison Ford, be he acts similarly enough that audiences will be able to accept him as Han Solo. Is he the only actor who could have pulled this off? No, but that does not make it a small feat. The biggest challenge with this role is to get audiences to accept the new actor as Han Solo. Alden Ehrenreich achieved this and was able to hit all the dramatic complexities of this character. To start, let me just say that Emilia Clarke did a fine job in this movie. The actress did everything the character needed of her but, unfortunately, this character’s story arc was severely predictable. I will not go into detail to avoid spoilers, but when we meet this character (after the split up) we know that she is somehow associated with Dryden Vos (although we do not know how or to what extent). For the rest of the movie, audiences are expected to be guessing as to what her intentions are. Unfortunately, audiences will know (pretty quickly) where her allegiances lie. It is so predictable that the character becomes boring, despite the attempted plot twist at the end. 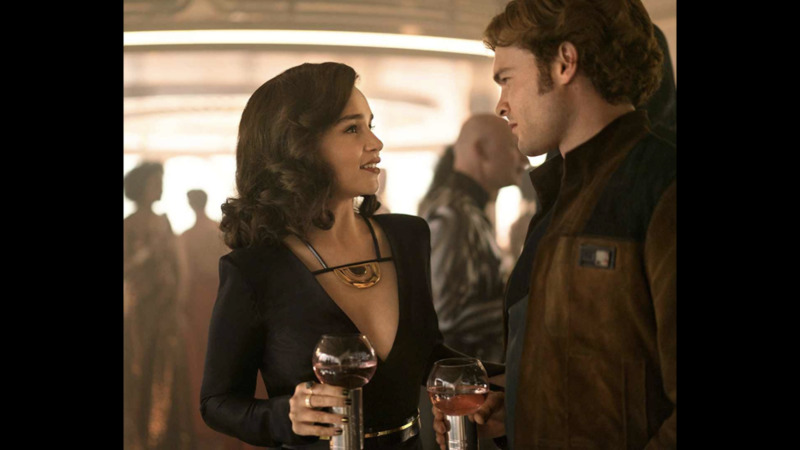 Emilia Clarke did a fine job dramatically and she had good chemistry with Alden Ehrenreich, but by knowing where the filmmakers were going with her character, Qi’ra ends up being one of the more generic parts of this movie. Nostalgia was this movie’s biggest strength and the filmmakers knew it. We see a lot of iconic firsts in the movie and all were a joy to finally see on-screen. 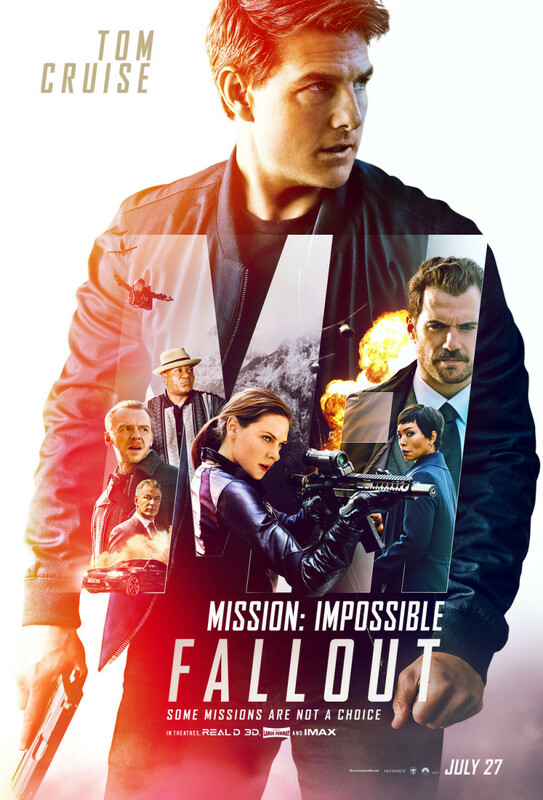 I felt like the filmmakers sacrificed the plot in order to deliver a heavy dose of nostalgia, but that does not mean the nostalgia was not fun to see. Donald Glover did a great job personifying Lando Calrissian and it was cool to finally see the events that led to Han getting his hands on the keys to the Millenium Falcon. 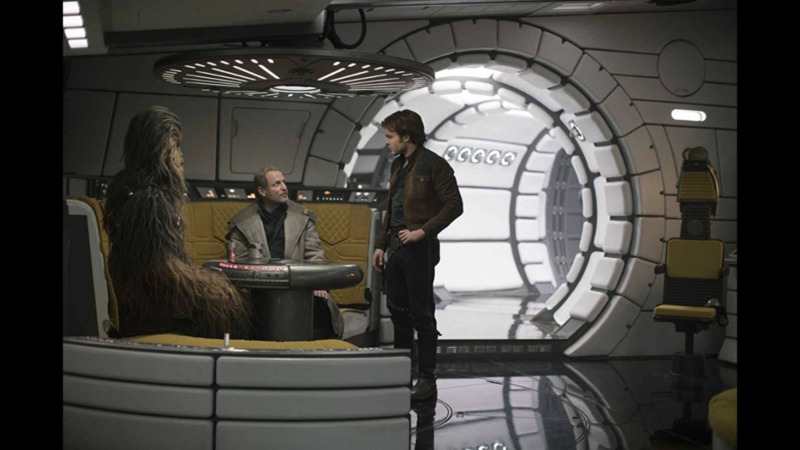 The most satisfying dose of nostalgia, however, was the meeting between Han Solo and Chewbacca. 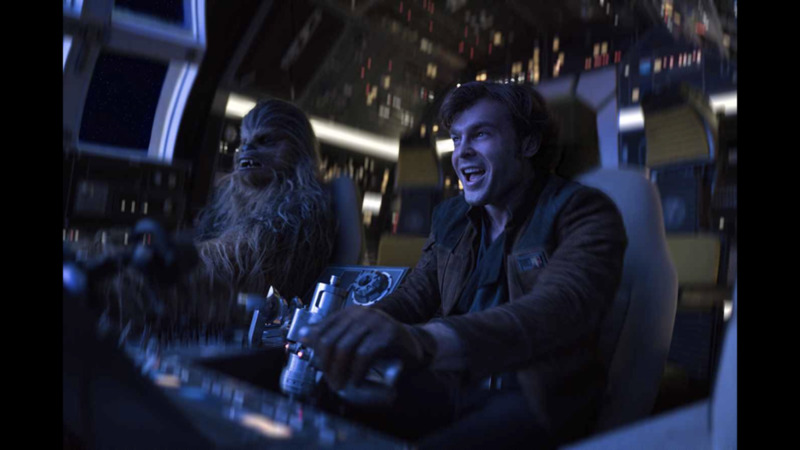 Han and Chewy are one of the most iconic duos in cinematic history. Fans of the Star Wars saga have gotten hints at how these two met and became friends, but (up until now) the actual events were mostly left to fan speculation. 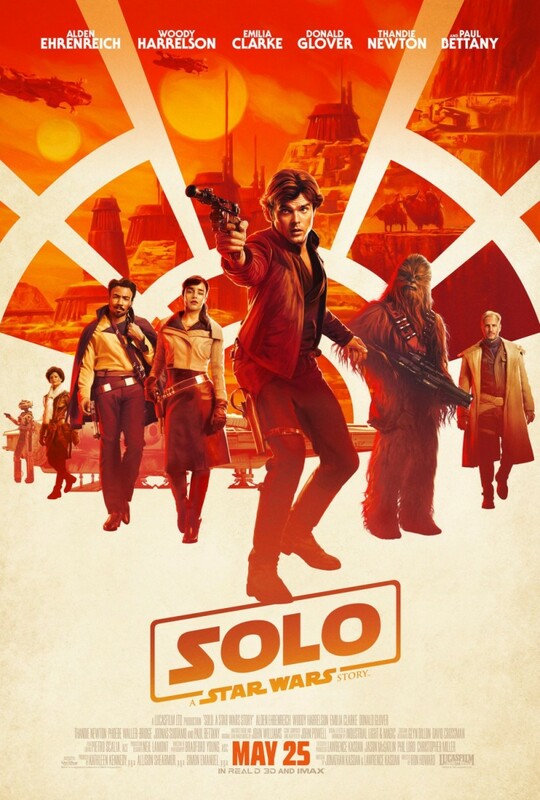 This movie had a tough responsibility because, by taking on the origin story of Han Solo, the filmmakers had to show the formation of this iconic friendship in a way that did not disappoint fans. Fortunately, the filmmakers were able to pull this off. The two characters meet in a very satisfying way, but we also get a real feel for why these two have such a strong, loyal friendship. 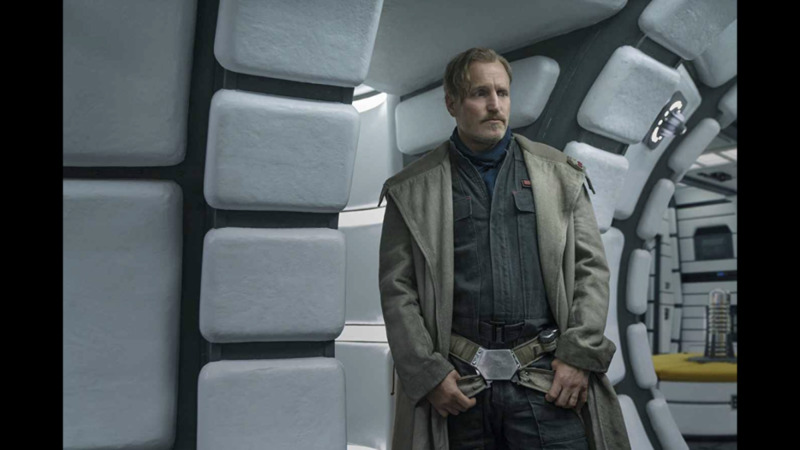 I always like seeing Woody Harrelson pop up in movies. He has the screen presence and the talent that makes him captivating to watch. However, much like Emilia Clarke and Qi’ra, I though Beckett was a one-dimensional character that ended up serving as a plot device for this story. This movie was able to cram the introduction of Lando, Chewbacca, and the Millenium Falcon into the story, but did not have room to explain much more of Han Solo’s character. Beckett was then used as a plot device to explain every other iconic trait of Han Solo. Beckett is an outlaw, with trust issues, is a bit of a gunslinger, and is always looking for a way to make some money so he can pay-off the crime lord to whom he owns money. Does any of that sound familiar? He was basically Han Solo before Han Solo was Han Solo. Beckett was a cool character but this movie felt a little crowded and Beckett was a one-dimensional character that felt forced into the story to explain Han’s characteristics. Rather than focus on telling a good story, the filmmakers were too concerned with checking items off of a figurative Han Solo checklist. Beckett was the embodiment of the filmmakers squeezing in Han Solo traits that they could not otherwise fit into the story. I liked Woody Harrelson in the movie, but his character just felt like lazy writing. While the plot suffered in order to deliver a ton of nostalgia, the action (that we have grown to love) remained constant. This is a Star Wars movie and there is a ton of Star Wars action in here. There is a train heist, speeder chase, Millenium Falcon space battle (against a few T.I.E. Fighters), and an big scale shootout. None were memorable enough to be ranked against the best Star Wars Action sequences, but all will keep audiences engaged and having fun. 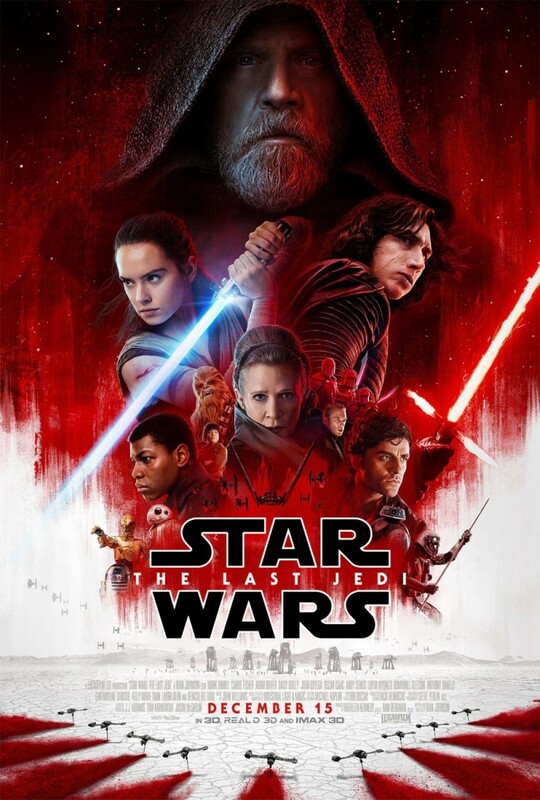 Star Wars has always been about delivering fun and intense sci-fi action throughout their movies, and this one is no different. Like I have already mentioned, the filmmakers focused heavily on delivering as much nostalgia as possible. This was all satisfying to see, but the plot of the film suffered. 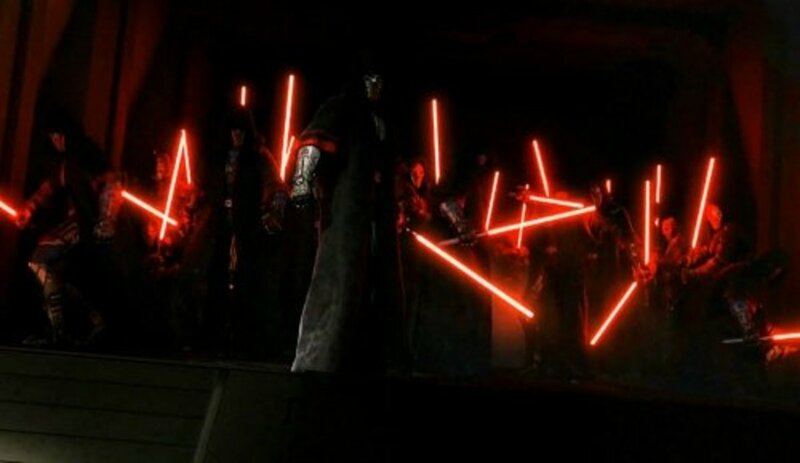 As a result of poor development, Dryden Vos ends up being a pretty generic and forgettable antagonist. The plot surrounding this character (which was the main plot) got very little focus. 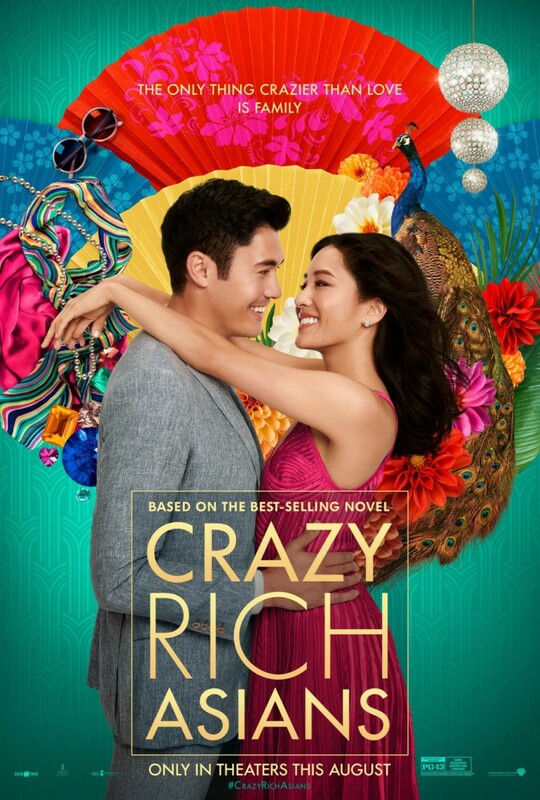 Rather than develop a good plot, it seemed that the filmmakers had all the nostalgic scenes planned, then created this generic plot and generic villain as a means of connecting the nostalgic scenes. In any story, the plot and characters need to come first and foremost. In this movie, both seemed to take a back seat to the nostalgia. 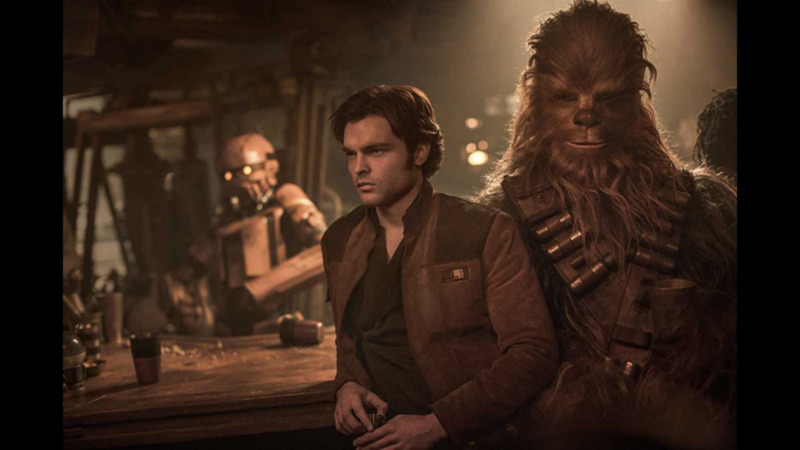 Solo: A Star Wars Story was not a movie that fans wanted and it received pretty mixed reviews. Many hated this movie, and many loved it, but this was not a movie that anyone was asking for. Instead of telling a new story with new characters, Lucasfilm (once again) decided it was necessary to go back and tell stories that we were already at least semi-familiar with. 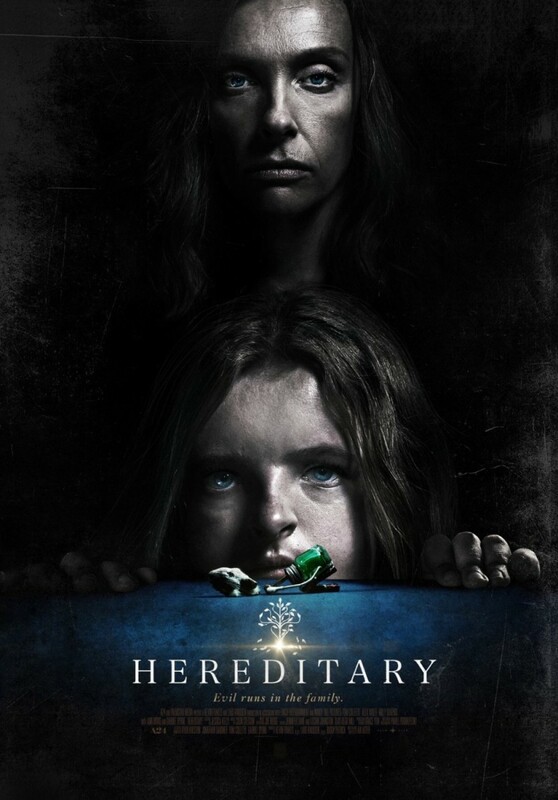 This movie has a ton of nostalgia and it all worked well, but the filmmakers sacrificed the plot to deliver it. 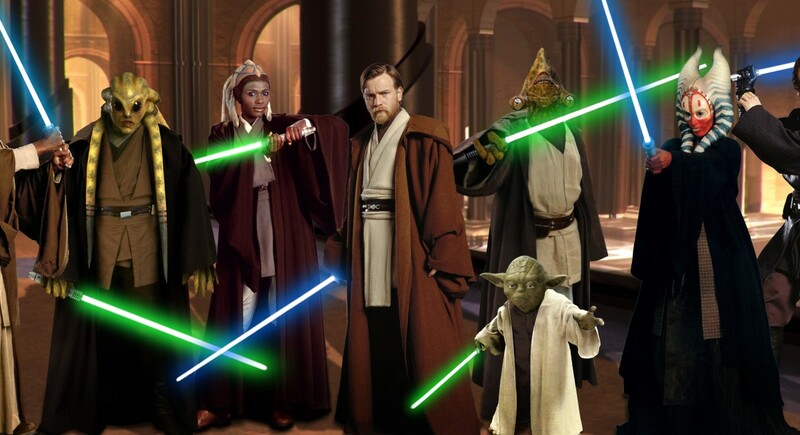 Which Disney Star Wars movie is your favorite?